The 1940s are a bit of a lost decade for horror, so to find several films from then is a real treat. 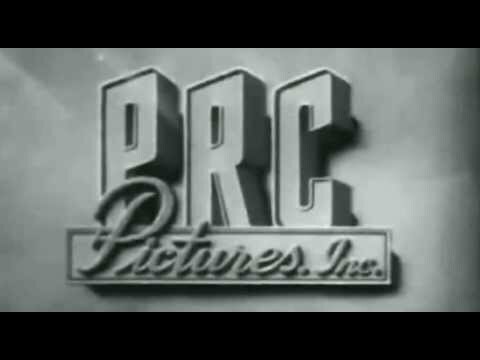 These are mainly Producers Releasing Company films–PRC was one of the low-budget producers of the day producing second-run films with lesser stars or unknown actors; there were dozens of studios specializing in in B-movies, collectively known as the “poverty row” producers. These producers made the 40s a boon for B-films, if a bit light on horror. First up, Son of Ingagi from 1940. First all-black casting for a horror movie ever, so that alone makes this one of some historical interest. Enter Bela Lugosi! The Corpse Vanishes, premiering on 8 May 1942 has Lugosi trying to preserve his wife’s beauty by injecting her with the precious bodily fluids of virgins. This one was the basis for a 1989 episode of MST3K, and finally came out on DVD twenty years after that. 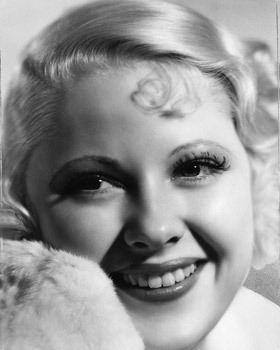 Mary Carlisle, late 1930s or early 1940s. Dead Men Walk, released on 12 April 1943 was notable for bring Mary Carlisle’s final role; she had appeared in silent films and dozens of B-movies in the 1930s. Today, Carlisle is among the oldest surviving silent film actors. She turned 101 this year, though she’s been out of the public eye since receiving her Hollywood Star 55 years ago. When The Monster Maker came out on 15 May 1944, it was PRC’s first horror release in nearly a year-and-a-half, mainly because PRC had spent most of 1943 in talks to acquire a poverty row company that specialized in renting production equipment. Once purchased, PRC films took on better production values. Scary stories with at least decent production values seems to have paid off for Monster Maker, which earned a rating of B–partially morally objectionable–by the “National Legion of Decency,” a predominantly Catholic organization seeking to combat the “massacre of the innocence of youth” on film. As an aside, lest you think backward-looking organizations like the National Legion of Decency are a thing of the past, today’s “Parents Television Council” (est. 1995) seek to fulfill the same role today–and look at the Legion as their model. On 1 February 1946 we got The Flying Serpent, a loose remake of PRC’s biggest hit The Devil Bat from 1940; both were redone in 1982 in the Michael Moriarty/David Carradine flick Q. Aztec treasure protected by ancient god Quetzalcoatl being fought over by greedy archaeologists… what could possibly go wrong? A fun early creature feature. Lastly, we have Things Happen At Night, from 3 November 1948, an underplayed little British horror-comedy in which a poltergeist bothers a household, based on the play The Poltergeist by Frank Harvey, Jr. Horrorpedia notes the structural similarity to The Exorcist in which a young girl is haunted, an expert comes to exorcise the monster. Posted in 1940, 1942, 1943, 1944, 1946, 1948Tagged Dead Men Walk (1943), Horrorpedia, Mary Carlisle, National Legion of Decency, Parents Television Council, poverty row, Producers Releasing Company, Q (1982), Son of Ingagi (1940), The Ape (1940), The Corpse Vanishes (1942), The Flying Serpent (1946), The Monster Maker (1944), Things Happen At Night (1948)Bookmark the permalink.